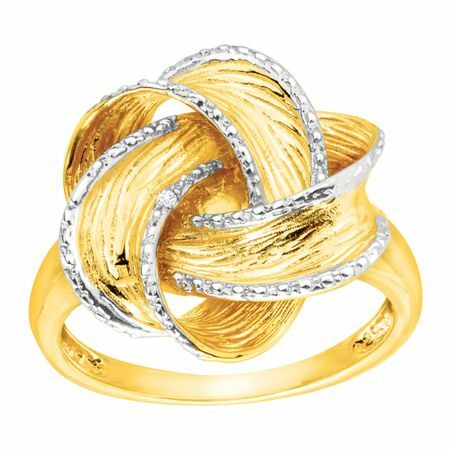 Brighten up any room you walk into with this Bold Knot Ring! The two-tone sterling silver and 14K gold-plated knotted design features exquisite brushed detail and a singular diamond stone on the face. Ring face measures 11/16 by 11/16 inches.